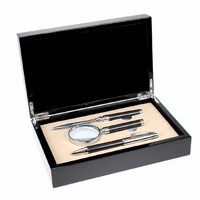 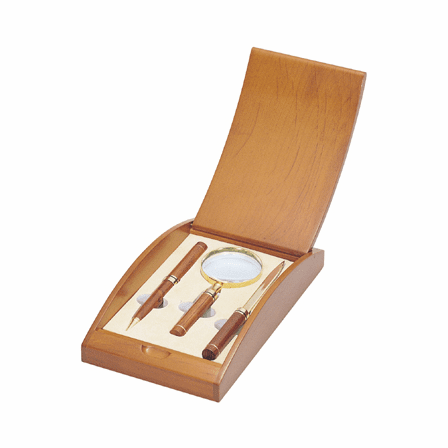 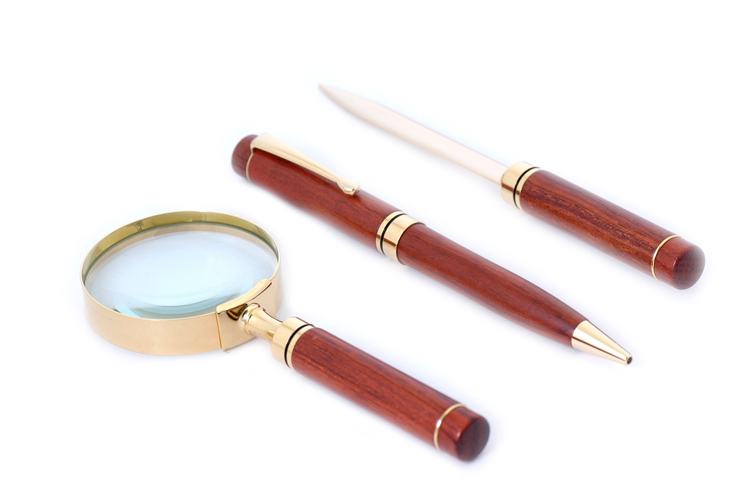 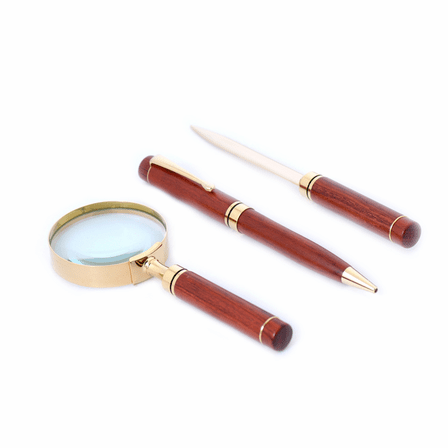 This rosewood & brass ballpoint pen, magnifying glass and letter opener desk set is an ideal gift for a recently promoted coworker or a loved one starting out on a new career. 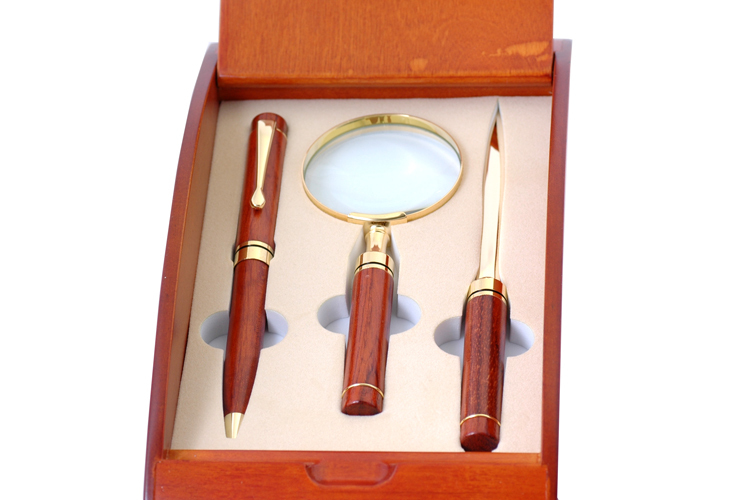 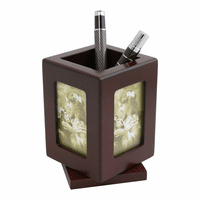 Each piece in this set is made of solid brass and is accented in beautiful rosewood. 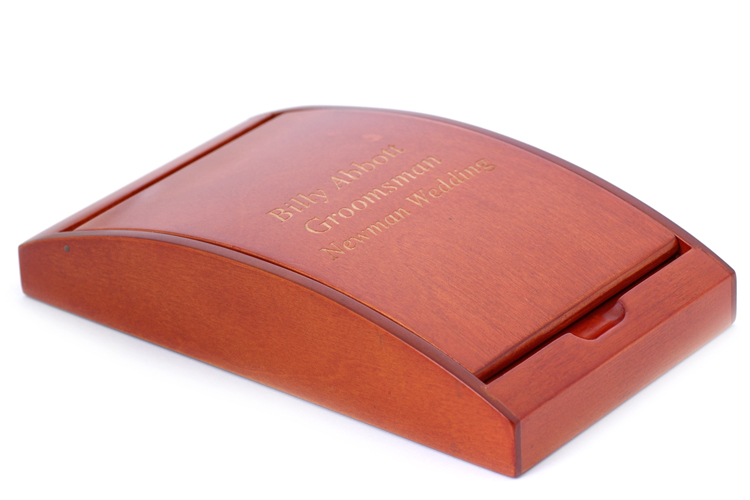 The wood box they are packaged in has a felt lined bottom to protect your desktop. 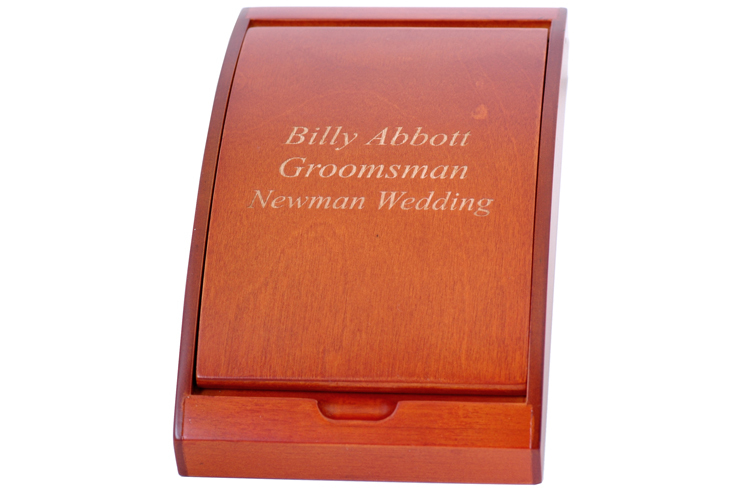 We'll laser engrave the rosewood box with your message free of charge. 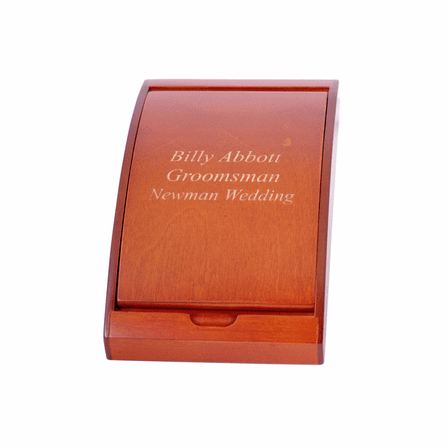 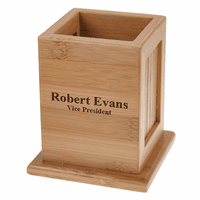 The laser engraving removes the top layer of wood finish to expose the lighter wood underneath. 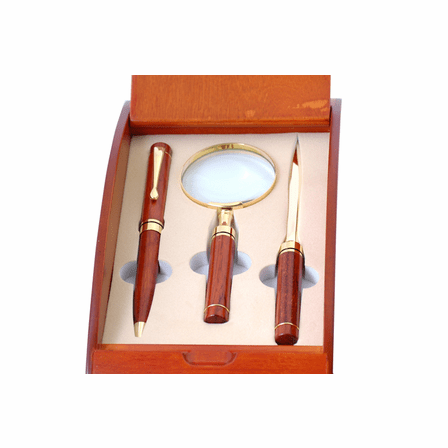 This elegant set comes packaged in a gift box and ships out within one business day. 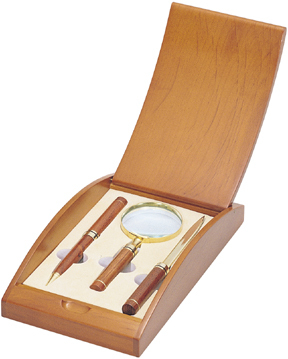 Dimensions: 8 1/4" x 4 3/4" x 1 1/2"